Great Lakes Mall, in Mentor Ohio, is located about 20 miles east of downtown Cleveland. 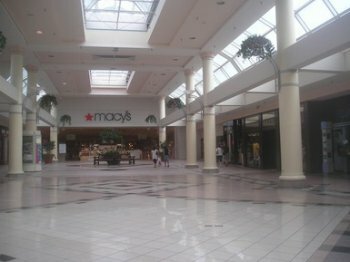 The spacious mall is anchored by Macy's, JCPenney, Sears, and Dillard's and features more than 150 specialty stores. Guest services at Great Lakes Mall include complimentary wheelchairs, stroller rental, and gift card sales. In addition, the mall offers a baby changing station, a children's play area, and a Kid's club. Great Lakes Mall is open Monday through Saturday, from 10am to 9pm and on Sunday, from 11am to 6pm. Individual store hours may vary slightly.